Do you dream of learning to dive? Do you want to get your ticket to explore the other 70% of our planet? 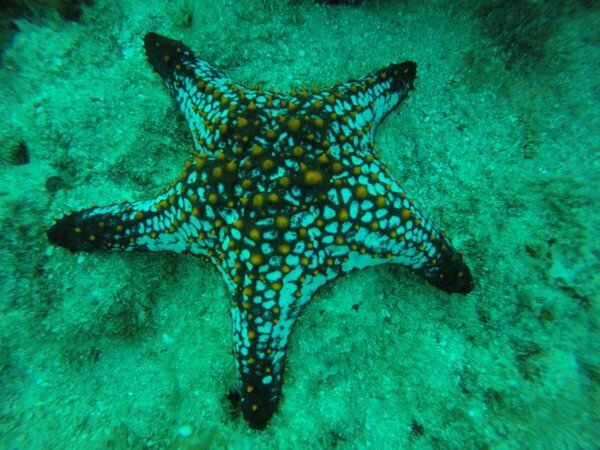 We offer Learn to Scuba Dive packages on board El Duque. As proud members of the PADI community we will support you from taking those first few breaths underwater to being a confident Open Water Scuba Diver. We have different options available for either land based training or whether you would like to learn on a charter. If you are staying in La Paz and looking for quality instruction then contact us to arrange private lessons, course takes 3-4 days. There are three parts to your PADI Open Water Diver: theory, confined water skills and open water dives. 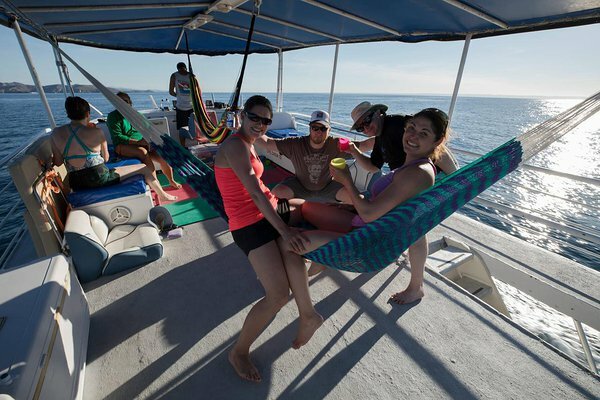 On this trip we will support you on all sections - whilst doing so in the beautiful surroundings of the Sea of Cortez. Some of you may decide to do the theory and/ or confined water parts at home before your holiday, contact us to for a quote to complete just your open water dives. Day 1: Board the boat at 9am and receive an introduction to your crew and home for the next few days. The boat departs the dock and you start your theory with some classroom sessions. After lunch get ready for your first time in the water. With the boat at anchor in a calm bay you will get to breathe you first breaths underwater. We start in very shallow water where you will be able to stand up and get acclimatized to using the gear and starting to learn the basics of SCUBA. Enjoy a hearty meal in the evening, some star gazing and sleep well. Day 2: After waking up to the tranquil sounds of water lapping on the boat you will start with another morning in the classroom (remember this is a floating classroom with awesome scenery) and another afternoon spent learning the basics. There will also be time to practice you snorkel skills and complete your water assessments. Depending on your progress and comfort in the water there may be time for kayaking or hiking or just some beach time to relax. Day 3: You get to try your first open water dives, after spending the last few days in, on and under water you are ready for you first ocean dives. You will get to explore the underwater world and practice the skills that you learnt in confined water all the while improving your confidence and ability. After the dives there is time for debriefing and also exploring Isla Espiritu Santo. Perhaps it will be a nature walk on the island or a gentle kayak around the bay, take some time to think about how far you have come. Day 4: Open water dives 3 & 4 and the completion of your open water course*. Today you get the opportunity to reach a maximum of 60ft and a chance to explore further into the underwater world. You will learn good dive practices and conservation techniques during your course to ensure that you are a competant and responsible diver. Day 5: Your first dives as certified divers! Today you have the opportunity to do 2 more dives whilst continuing to develop your skills under the supervision of your instructor. Return to La Paz and celebrate with dinner in front of the Malecon. Day 6: Disembark the vessel at 9am. All food, snacks and soft drinks from lunch on Day 1 until breakfast on Day 6. 5 nights on the boat and 5 full days of activity. Use of Kayaks and trips to explore the island outside of scuba classes. Alcohol - you may drink responsibly in the evening but not until all diving and studying is done for the day. If you want to save some classroom time and do the theory at home via e learning or you have done the theory and pool work at home then contact us for a quote.